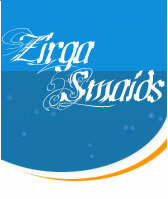 Complex of rest ”Zirga smaids” offers wide possibilities to carry out active relaxation. You will receive maximum of pleasure not only from communication with nature, but also with people, ready to do anything possible so your day here would be unforgettable. At your service are given: football and volleyball fields, catamarans, water motorcycles, skies, boats. Exclusive offer for our guests – most interesting bicycle rounds, specially created by experienced guides-regional specialists. You will be pleased with our pure sandy beach and picturesque bay for swimming. For fans of extreme rest we offer militarized game ‘’Paintball’’. During winter to your service are given – skies and snowmobiles. 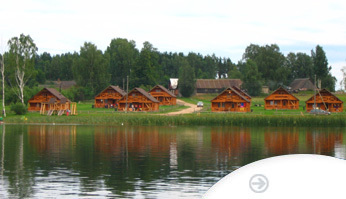 Whole year for you is heating russian bath right on the coast of lake. At our place your children will not be bored either. 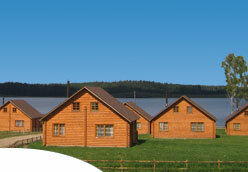 Right on the coast of lake is located children’s playground. If you would like, you can use professional nanny service. Also are given possibilities of carrying out unforgettable corporate parties. The best animators and leaders with pleasure will brighten up your leisure time. If you would like to celebrate something, then our mistresses will lay a worthy table for you and your guests. Unique offer – at our place you can order organization of surprising romantic dinner with candlelight and sounds of violin right on the coast of lake.